This! 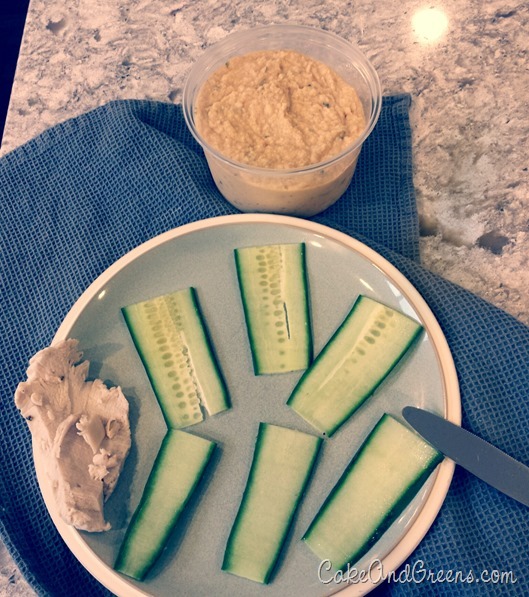 Such a great snack. It takes minutes to make, has some great protein, and tastes delicious (and no, I wasn’t even starving, so this is legit). If you’re searching for a healthy snack and a way to get a bit more veggies into you, try out these cucumber hummus turkey roll-ups. You could also sub in zucchini and/or ham. This is a perfect 150 calorie snack! (And you get double of what’s pictured here). 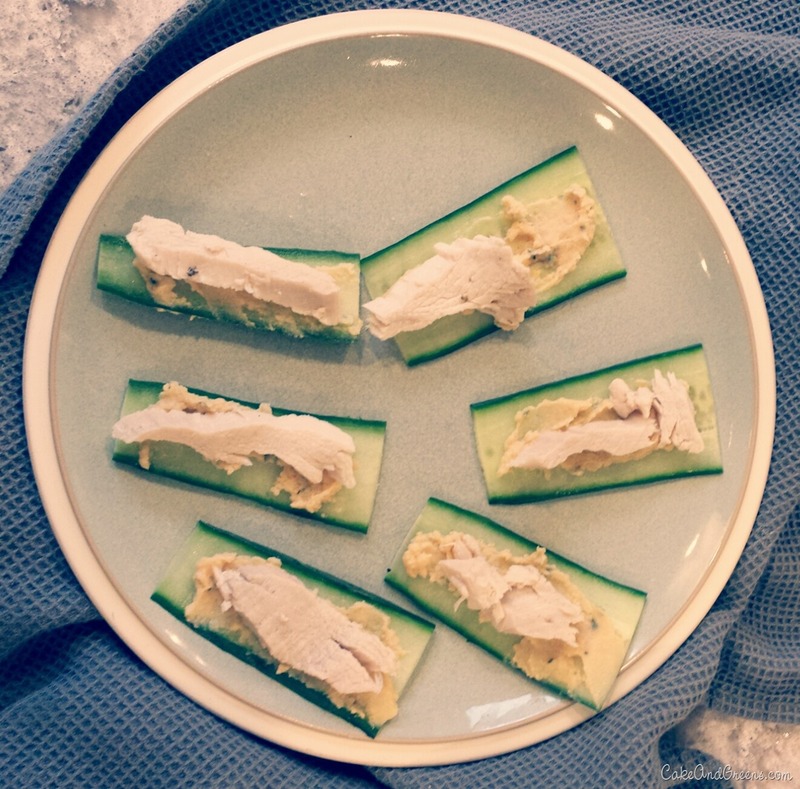 Busy mamas (or the ones with newborns, like me), you can whip up a big batch of these in just a few minutes and pop them in the fridge for emergency snacking. 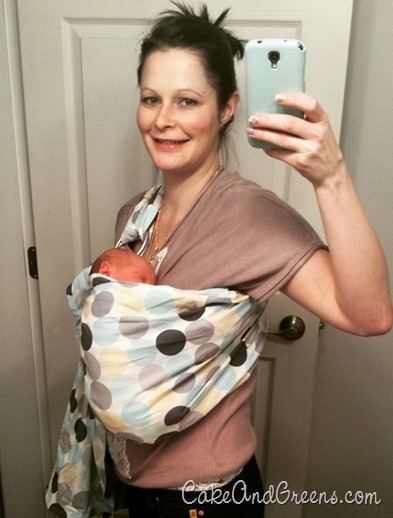 Speaking of newborns.. yep, I had my wee little Andrew 2 weeks early. I’m not sleeping much (4-5 hours, which is an improvement from 1-3 hours), but I’m sure smitten. He likes to be snuggled, and that’s about it. Back to these roll-ups.. Make them.. ready, set, go! 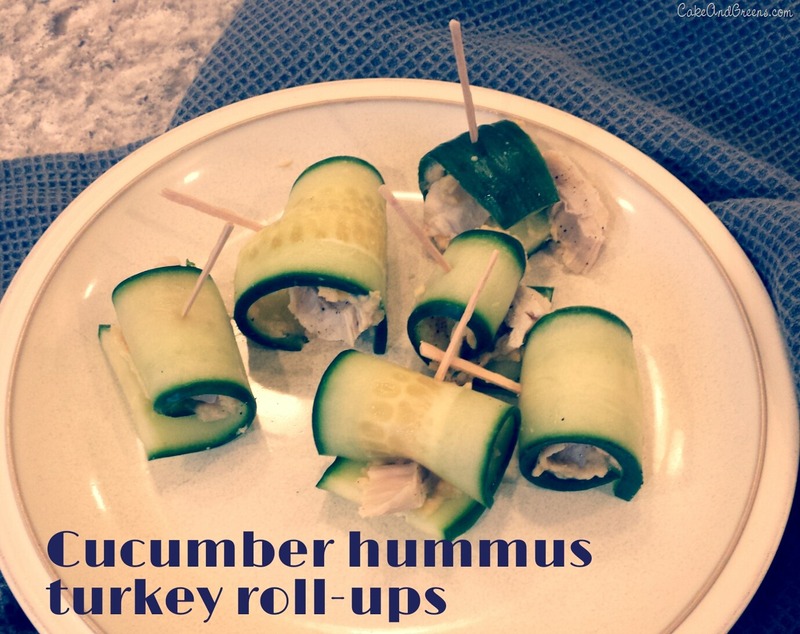 Thinly slice some cucumber or zucchini, spread on some hummus, top with turkey or ham pieces, and roll! Or save time and eat them flat. So easy! Thinly slice the cucumber vertically into strips (use a sharp knife, or a vegetable peeler). You’ll have 12-15 strips. Spread some hummus onto each slice, top with pieces of turkey breast, roll, and enjoy.